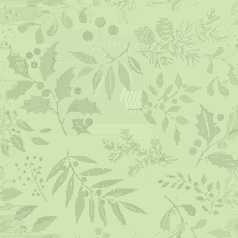 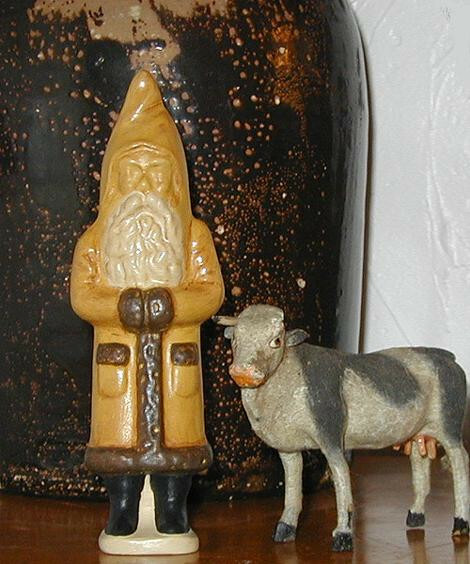 Bring a piece of New England folk art into your home for the holidays with this hand crafted Yelloware Santa. 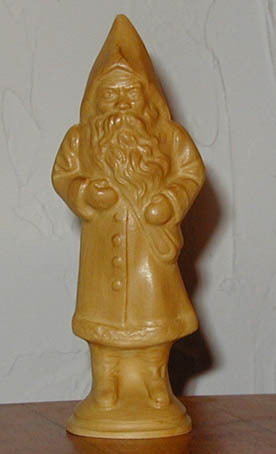 This wonderful Santa figure was inspired by Early American Yelloware, hand crafted using an antique German chocolate mold. 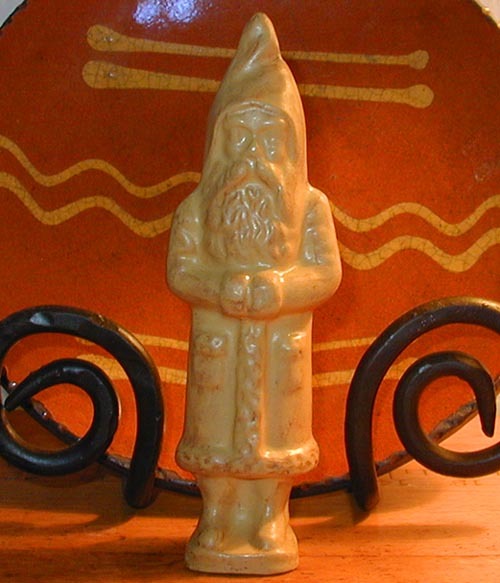 Each anta is individually cast using a wonderful highly detailed antique German chocolate mold and is handpainted with my Signature Yelloware finish. 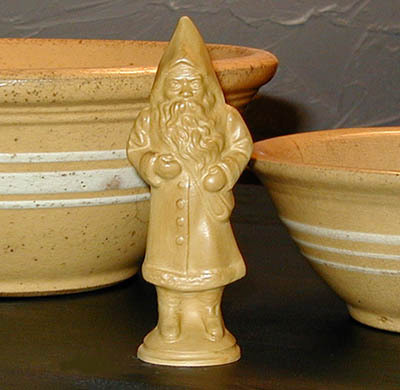 The piece is then glazed, antiqued and polished to give it the beautiful appearance of an early antique Yelloware bowl. 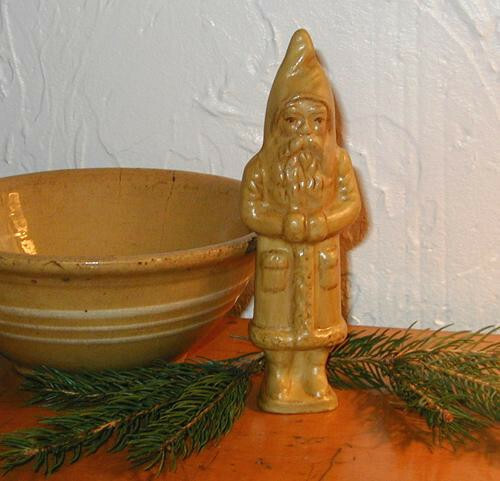 The Yelloware Belsnickle Santa displays beautifully with Redware, Spongeware, Rockingham, Salt Glaze Pottery or Pfaltgraff America.